Now normally once a month I do a favourites playlist on Spotify - don't worry I'll probably still do a December one! In the spirit of Christmas I have recently followed a few Christmas playlists. For those of you who don't know on Spotify you follow a playlist which then you can access on your playlist quicker, whenever new songs are added it will tell you ... it's quite good! So today I wanted to share with you some of my favourite playlists I'm following at the moment! 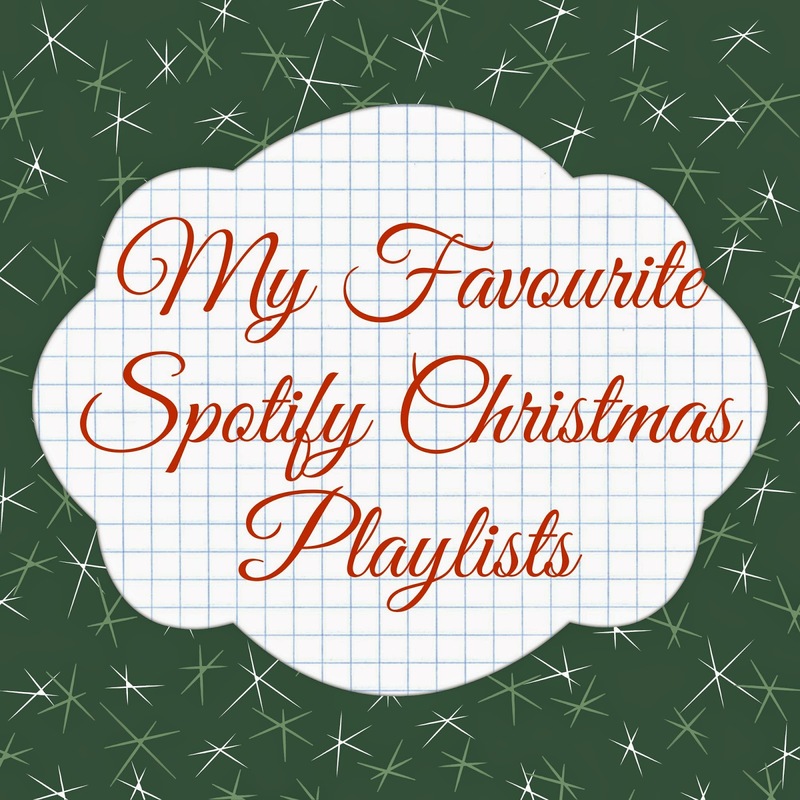 > One of my favourites from this playlist is 'Underneath the Tree' by Kelly Clarkson - it's really catchy and I love the lyrics - definitely a car journey song - I've been playing it a lot on the way to work! > Another (which at first I wasn't too sure about) is 'Hard Candy Christmas by Dolly Parton' - it's starts off slow, but then get's a bit crazy! Gotta love some Dolly Parton at Christmas Time! Another playlist I found when searching around for Christmas songs is funnily enough: 'Christmas Songs: Old & New' by Universal Music Enterprises. I really like this playlist because as the title suggests you have a mixture of old and new Christmas songs! > I'm loving anything by Ariana Grande at the moment and her cover of 'Santa Tell Me' is good - so listen to that. > Obviously this song is all over the radio at the moment and definitely overplayed but that's okay because it is a classic! Mariah Carey's 'All I Want for Christmas Is You' I like this version but I also liked the version in Love Actually. > My brother and me used to listen to this song all the time and drive my mum crazy - 'I Saw Mommy Kissing Santa Claus' by Jackson! > A timeless classic - Fairytale of New York (but this is a cover version) still quite good though! > I think this was the first ever Christmas song I bought from the iTunes store: 'Step Into Christmas' by Elton John - really catchy and fast moving. > I love the really old hymn-kind of songs - especially 'Amazing Graze' this one by Russell Watson & Jocelyn Brown is really good. > I remember one year I got the Girls Aloud album 'Chemistry' for my Christmas and if I remember (bare in mind this was about 10 years ago) you got a second bonus Christmas CD with it. I really loved Not Tonight Santa - that song stuck in my head for years and every time I hear it at Christmas I always think of this. Anything these are my 3 favourite playlists (and album lol). Have any of you guys compiled any Spotify playlists or just playlists on iTunes or something - if so let me know - send a link if you can so I can check it out and follow you!